As you browse the Internet for answers to your IT systems issues, there’s a good chance you have encountered a managed service provider or MSP. MSP IT Service Solutions go beyond what companies expect typical break-fix IT service providers offer. As long as it is within the agreed service contract, they will resolve issues remotely or on-site as well as proactively monitor your network and IT security. The client and the MSP have a service agreement that states the range of services they want to utilize. This is offered in different tiers and pricing models but typically works on a cost per device, server, or endpoint per month. Working with an MSP IT Service Solutions provider is completely different than utilizing only dedicated staff onsite because it is outsourced and bound by a contract. Some issues outside the contract can be evaluated at additional cost. 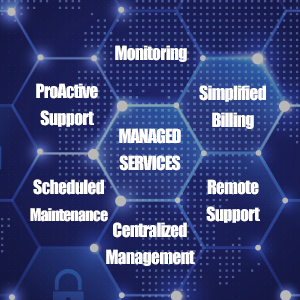 What is MSP IT Service Solutions? In the IT industry, the managed service provider (MSP) is known for giving information technology services for other companies. This may include a wide range of tasks that proactively maintains the well-being of the company’s IT infrastructure and software and data. The responsibilities may include hosting, data backup and recovery, 24/7 IT Support, and co-location services. This saves many companies time and money in lieu of hiring IT experts for one-time projects or relying on internal resources. How can thinkIT Solutions Help Companies with their MSP IT Services? ThinkIT Solutions provides not only the basic computer repair services but also the advanced IT services available in the market. By using diagnostics and comprehensive analytics they can tailor fit IT service solutions that address the issues with your IT systems. ThinkIT Solutions prepares before disasters happen. In case of a breach to the data environment, they store backup copies of the original files in order to avoid starting from scratch. It is better to save most of your files in duplicate in case of damage to your systems. This will lessen the impact of a data disaster. This is also a part of the disaster management approach taken by ThinkIT Solutions. Disaster prevention management is a list of ways to lessen the impact of an attack that results in minimizing downtime. Each disaster prevention management plan is tailor-fit to the business client. Different types of businesses must follow industry-specific regulations. Industries such as healthcare and legal services must meet requirements to make sure they meet patient and client privacy requirements set forth under the law for their industry. For healthcare centers, HIPAA protects the rights of patients with respect to their privacy and information such as the individuals’ medical records and other personal health information must be protected. This applies to health plans, health care clearinghouses, and those health care providers that conduct certain health care transactions electronically. The Rule requires appropriate safeguards to protect the privacy of personal health information and sets limits and conditions on the uses and disclosures that may be made of such information without patient authorization. It also grants patients specific rights concerning their health information, including the right to examine and obtain a copy of their health records and to request corrections. With those existing requirements, thinkIT Solutions take that into the consideration to serve their clients even better. thinkIT Solutions has experience as an MSP IT service provider in offering these services. The technology situation at each company is different. ThinkIT Solutions MSP IT makes sure that you will have a smooth transition to cloud computing systems. That is the reliable MSP IT that thinkIT Solutions delivers. Cyber threats can come at any time. Cybercriminals can set a time when they want to breach a data system. Having proactive monitoring and a plan in place in case there is a breach are essential. At thinkIT Solutions, we install software that is appropriate for your technology. You are notified when there are sudden changes in your system. ThinkIT Solutions provides more than the benefits listed above. IT managed services provides a different level of service over break-fix offerings. Are you interested with what thinkIT Solutions managed IT offerings can provide? Please call (504) 608-1132 for more information.